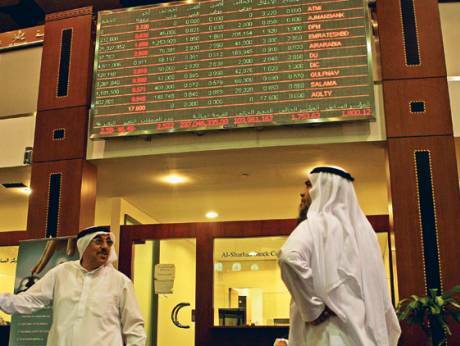 Dubai: UAE bourses witnessed a temporary halt in sell-off on Wednesday, with buying in selective stocks such as Gulf Finance House (GFH), Damac, Arabtec and a few banks in Abu Dhabi. The Dubai Financial Market general index closed 0.31 per cent higher at 2,492.58. The Abu Dhabi Securities Exchange general index closed 0.04 per cent higher at 5,026.66. 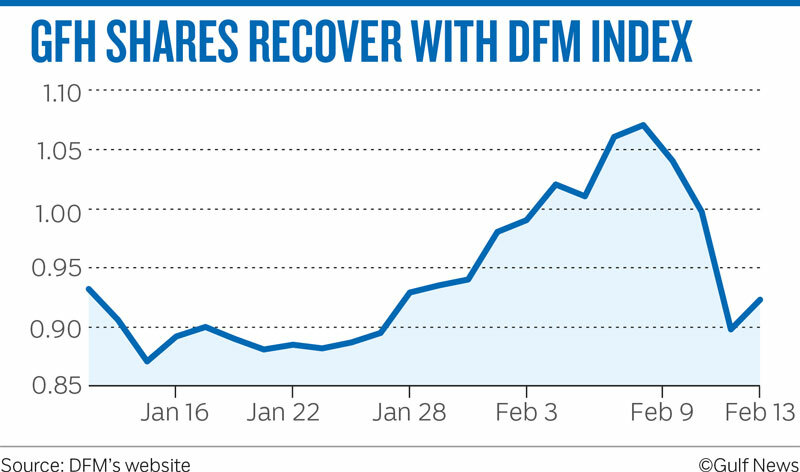 The Dubai index had shed 2.85 per cent in the past week or so. GFH closed 2.78 per cent higher at Dh0.923, after falling 9 per cent in the previous session. “GFH’s results were not welcome by investors, especially the low dividend which was inclusive of bonus shares,” Issam Kassabieh, Senior Financial Analyst at Menacorp said. The company had declared a dividend and bonus shares of a total of 8.7 per cent or $85 million for 2018. GFH’s results were not welcome by investors, especially the low dividend which was inclusive of bonus shares... Dubai Islamic Bank retreated to fall below Dh5, a sensitive spot for investors with concerns over what’s next for real estate developers affecting all sectors. Damac Properties closed 1.67 per cent higher at Dh1.22. Arabtec closed 0.49 per cent higher at Dh2.04 after the company managed to post a profit for the second consecutive quarter. Dubai Islamic Bank closed 0.60 per cent higher at Dh5.01. “Dubai Islamic Bank retreated to fall below Dh5, a sensitive spot for investors with concerns over what’s next for real estate developers affecting all sectors,” Kassabieh said. Banks such as Abu Dhabi Commercial Bank (ADCB), Abu Dhabi Islamic Bank (ADIB), Union National Bank (UNB) in Abu Dhabi witnessed buying. Despite registering a loss in the fourth quarter, UNB shares surged as traders saw the stock as a proxy to ADCB. UNB closed 1.37 per cent higher at Dh5.18. “UNB is gearing up again for the next higher targets of Dh5.60 and higher in the short term,” Shiv Prakash, senior analyst with First Abu Dhabi Bank said in a note. ADCB said it will issue 0.5966 ADCB shares for every UNB share after which UNB shares will be delisted. ADIB closed 1.67 per cent higher at Dh4.27. Dana Gas closed 0.11 per cent higher at Dh9.35. Aldar Properties ended 3.5 per cent higher at Dh1.48. Elsewhere in the Gulf, Saudi Arabia closed 0.20 per cent higher at 8,617.22. The MSCI Tadawul 30 Index ended 0.51 per cent higher at 1,276.54. National Industrialization Co. closed 3.64 per cent higher at 16.50 Saudi riyals. Saudi Basic Industries Corp. ended 0.49 per cent higher at 123.80 riyals. Al Rajhi Bank closed 0.40 per cent lower at 101.60 riyals. National Commercial Bank closed 0.55 per cent lower at 54.20 riyals. “These stocks have returned more than 40 per cent in 2018 and we believe further upside is difficult to justify on fundamental grounds. Having said that, we would not be surprised to see them overshooting their fair values in a market driven by flows. Nonetheless, we see the consolidation wave presenting new opportunities within the sector,” Al Mal Capital said in a note. Meanwhile, the total net foreign inflow in Saudi this year has already surpassed the $1.2 billion mark. The Muscat MSM 30 index closed 0.24 per cent lower at 4,114.80. The Qatar exchange index closed 1.18 per cent lower at 10,180.69.